■Kohosha: An unofficial rank reserved for the youngest or most inexperienced samurai. Most apprentices are in their early youth to preteen levels. As first rank you have to carry it for 2 weeks. After this duration and at least 20 Victory Screenshoots the HC decides if the player is ready to promote.If not we repeat this step every week. ■Aonisaibushi (アマチュアサムライ; Amateur Samurai): The lowest official rank among the samurai, Aonisaibushi are apprentices that have completed their training, usually under Seieibushi. Aonisaibushi are generally accompanied by their masters to ensure their safety. You have to stay at this rank for 3 more weeks and 30 more victoryscreenshoots(1/2 of them team games) then the HC will decide about the promotion. ■Chukanbushi (中間武士; Middle Samurai): The most common rank among the samurai, Chukanbushi-level samurai are intermediately skilled samurai. They often act as guards, sentinels, watchmen, and other miscellaneous positions. This is the moste common rank so it stays for a least 1 1/2 months (60 victoryscreenshoots with 1/2 of them in teambattles) and at least 1 tournament played by the member. Then the HC decides about the promotion. ■Seieibushi (エリート武士; Elite Samurai): Traditionally the highest rank among the samurai, Seieibushi are highly skilled fully-fledged samurai. Most samurai at the level of Seieibushi take on apprentices or Aonisaibushi-level samurai as their disciples. This rank stays for 4 months (160 victoryscreenshoots with 1/2 of them in teambattles) and an other tournament played. The player got the right to recruit a player and to teach it. Then the HC decides about the promotion. 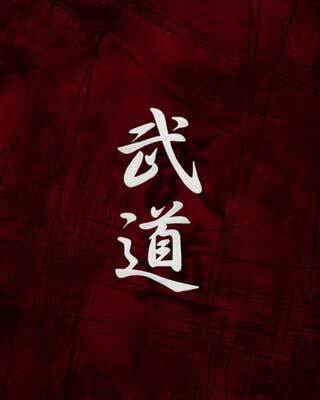 ■Kodenbushi (伝説の侍; Legendary Samurai): A highly coveted rank, and often seen as the highest attainable position, with the sole exception of the rank of Shogun. Seieibushi are samurai of legendary status with tremendous capability, and are regarded as being of Shogun-level. Kodenbushi are hired to accomplish some of the most dangerous international missions. Samurai of Kodenbushi rank are extremely rare, and there are no more than four in any given country. This rank has to stays for an other 3 months (120 victoryscreenshoots with all of them in teambattles) and an other tournament.Now the HC can choose you to be a Daimyo and a part of the HC. The member can recruit players and act as Ambassador for the Clan.It is the highest normal rank in the clan. ■Daimyo: is a generic term referring to the powerful territorial lords in premodern Japan who ruled most of the country from their vast, hereditary land holdings. In the term, "dai" literally means "large", and "myō" stands for myōden (名田), meaning private land. They were the most powerful feudal rulers from the 10th century to the middle 19th century in Japan subordinate to the Shogun.